As marijuana dispensaries across the state gear up for 4/20 on Friday, one Santa Cruz location is taking pot selling a step further. 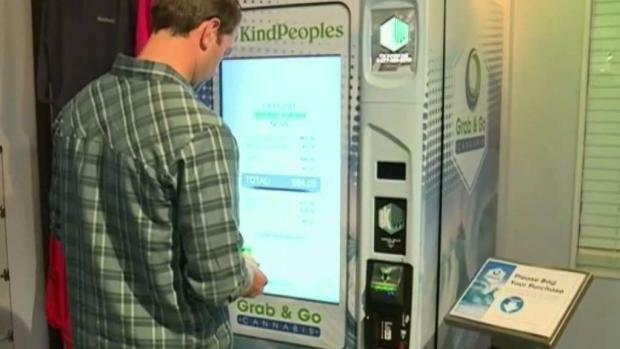 Kind Peoples Dispensary will unveil a new vending machine that dispenses cannabis products. Friday is expected to be a busy day for legal recreational pot sellers, and the machine expedities the process. "We have an easy in and out option with the vending maching," said Brett Friel, the dispensary's marketing director. "Some folks with the recreational change want a long formal consultation. They have a lot of questions about cannabis. There's a whole other demographic who wants to come in, grab their one item and get going." Parties and celebrations are being planned across Santa Cruz County and the Bay Area for the unofficial marijuana holiday.